have access to actionable insights at the right time. 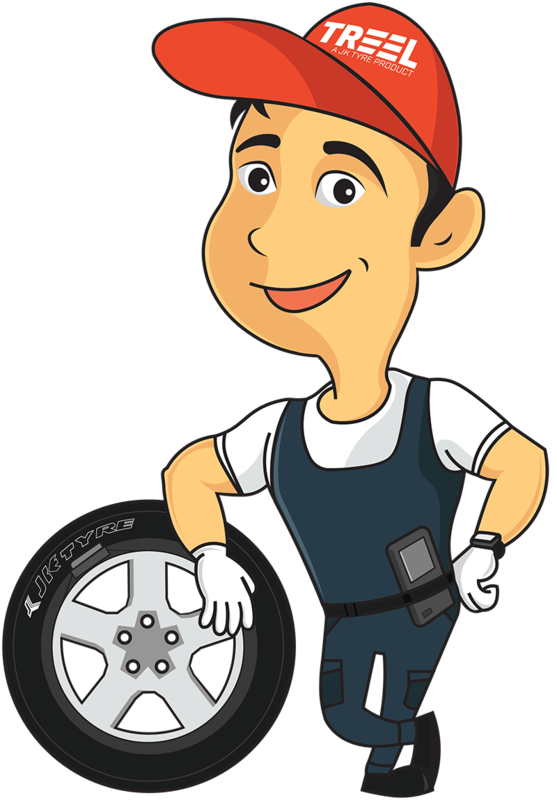 TMaaS helps reduce tyre and vehicle maintenance costs, while maximising returns and ensuring the safety of your drivers, goods and vehicles. 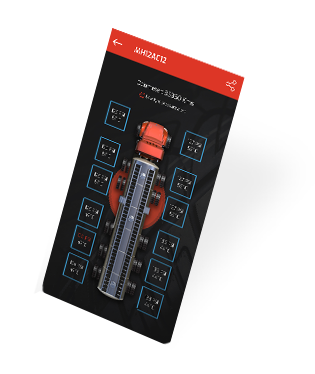 Along with smart low energy bluetooth sensors it gives you complete control of your fleets’ tyre health. It’s easy to adopt, integrate and understand. 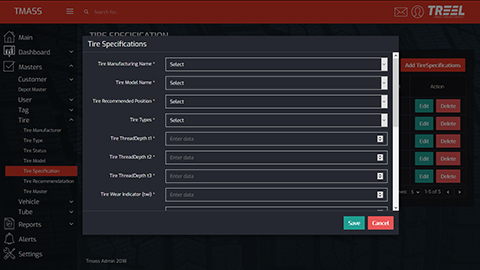 TMaaS replaces legacy formats and manually updated excel spreadsheets of collecting data with a clear, easy-to-use, customizable software. Empower your workforce with an overall view of the fleet at any point of time, while enabling you to control the smallest detail. 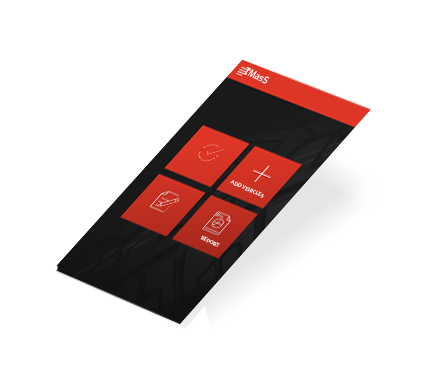 seamlessly with TMaaS to give you fool-proof control over every aspect of your fleet. inventory effortlessly with this state-of-the-art ID tag, fitted on the tyre wall. Avoid expensive downtimes due to flat tyres or tyre-bursting accidents; while keeping fuel expenses in check with optimally-inflated tyres. Your fleet is out on a time-critical delivery? With the connected POD, you can now get instant alerts remotely and enabling you to fix problems before they become major roadblocks. At the same time, drivers and cabin crew also get alerts through the special in-vehicle dashboard. Tyre pressure and temperature at a glance - Poorly inflated tyres consume more fuel than necessary, adding to your fuel expenses. TMaaS allows you to remotely track every tyre in your fleet, ensuring more mileage, more savings and a longer life for every tyre casing. Real time performance reports - TMaaS captures and presents all crucial data in an easy-to-understand, visual dashboard, giving you important cues on where and how to monetize your fleet better. 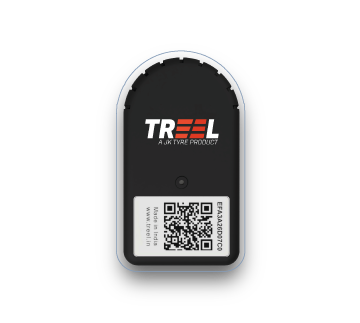 Tyre Exchange monitoring - By installing TREEL ID Tag , you can remotely track the movement of your tyres 24/7, and get alerted in case of suspicious activity. The sensors talk seamlessly and efficiently with the TMaaS software through Cloud and Bluetooth technology. No more downtime – TMaaS integrated with our smart sensors helps you predict and prevent tyre-related breakdowns, thereby avoiding costly downtimes, late fees, negative publicity and other hidden costs. Less Hassle – Don’t lose track of tyre usage and inventory – TMaaS keeps a ready record of servicing sessions done and due, insurance renewal dates, and other essential data that help you optimize the performance of your vehicles. 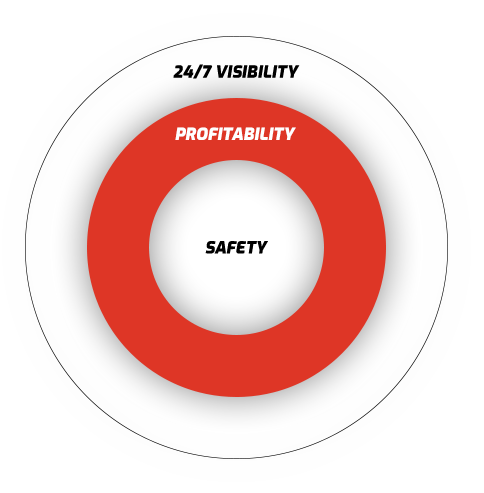 Reduce costs with precise technical data – Fleet owners throw away perfectly good tyres too early, or change the tyres too late, risking lives and adding to vehicle maintenance cost. 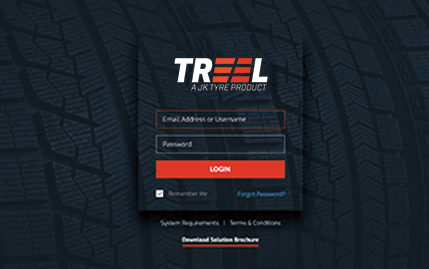 With TREEL Enterprise, you can now get precise updates on tyre wear and tear, tyre rotation tips and more, increasing every tyre’s life. Save More Money, Per Mile – Better maintained tyres, means optimal traction and friction. TMaaS helps you understand the how-to’s of taking care of maintaining optimal tyre pressure, tread depth and more to help your fleet use less fuel while giving you that extra mile. Alerts on the go for driver and vehicle - Through TPMS and POD-G- Driving at a long stretch with improperly inflated tyres can lead to tyre bursts. 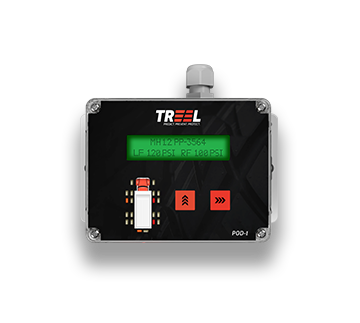 With TREEL Enterprise, you can now monitor tyre pressure & temperature remotely and continuously, while getting alerts when your tyre temperatures climb above safe limits. 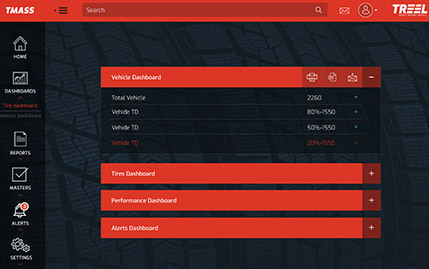 Realtime alerts to Control Desk - TMaaS allows your control desk to easily track, monitor and maintain the health and performance of their vehicles and tyres, no matter where they are. 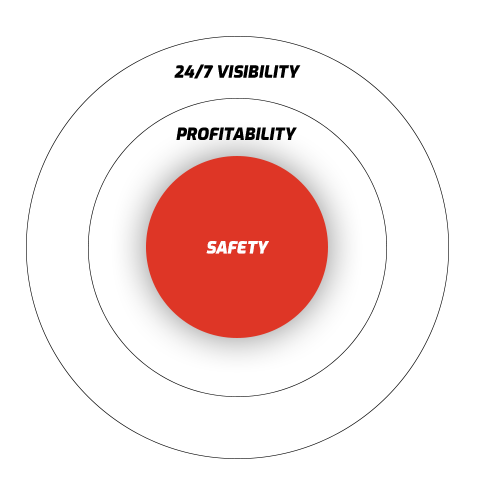 Safe Roads, Safer Nation - At TREEL we are driven to keep everyone on the road safe. 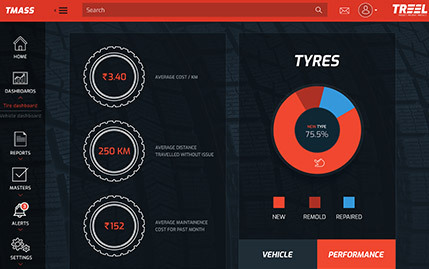 By taking care of tyres and predicting any tyre related accidents from happening, you can contribute to the mission of a Safer India. Stay alert, even when you are not paying attention - Now keep track of all round vehicle parameters in real time with on board alarms and giving your fleet managers and drivers the power to prevent losses before they even happen! 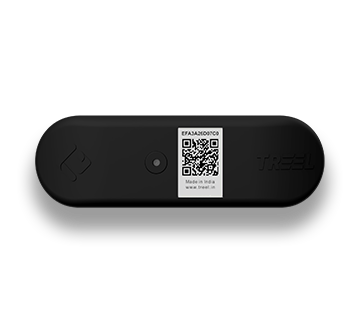 What is TREEL enterprise?TREEL Enterprise is a comprehensive solution for fleet owners and managers that includes a cloud-based, patent-pending, web and mobile application called TMaaS (Tyre Management as a Service) and smart tyre sensors, connected POD for deep diagnostic reports and ID Tag for transfer tracking. How TPMS will help in fleet operations?TPMS is a smart cloud enabled tyre sensor that provides complete visibility to the driver in-cabin and to the control center via the TMaaS program. 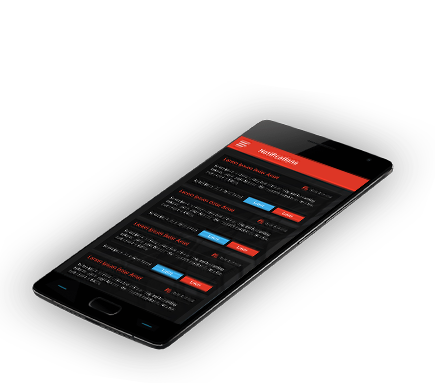 TPMS will send real time tyre pressure and temperature updates to help drivers prevent any downtime and help the managers correct downtime related issues. What is TMaaS?TMaaS is a patent pending, cloud based software that allows fleet owners and managers to transform their current legacy systems of tyre inventory management to intuitive and easy to use digital dashboards. 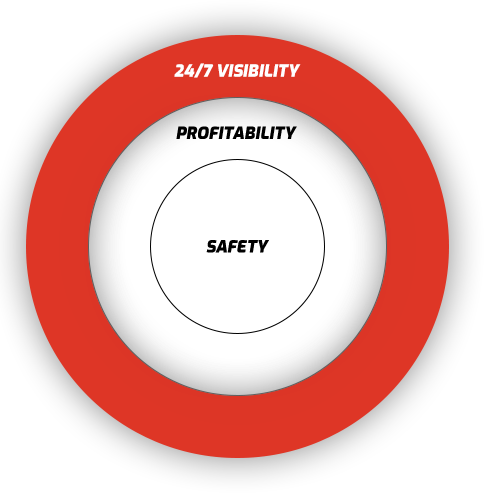 What benefits will I get by using TMaaS?The software helps you get complete visibility, gives you added flexibility and boosts your capability to better manage costs, in a time optimised manner.